Landlocked Ethiopia has announced significant new steps to diversify its access to seagoing trade. Since the 1990s, it has depended almost exclusively upon the Port of Djibouti to handle its waterborne commerce, but it is making moves in Sudan, Somaliland, Djibouti and Kenya to create new options for Ethiopian shipping interests. 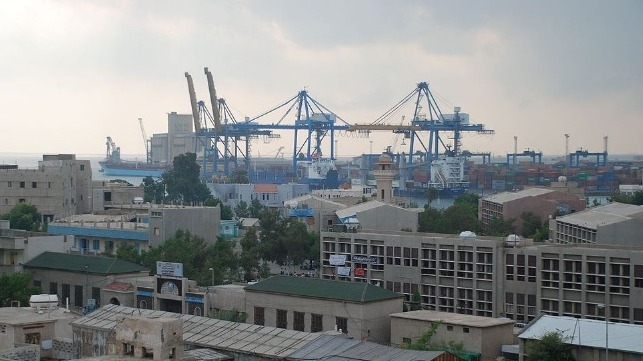 On Thursday, Sudanese and Ethiopian officials reached a deal for joint investments in the Port of Sudan. “The leaders of both countries agreed to develop Port Sudan together,” said Meles Alem, a spokesman for Ethiopia’s Foreign Ministry. “This deal entails that Ethiopia will be a shareholder of the port as well.” The details of the stake have not been disclosed. On Monday, Ethiopian diplomats and Kenyan leaders announced an agreement to grant Ethiopia a lease at Kenya’s new Lamu Port for logistics purposes. It comes with a joint commitment to improve the road and rail links between Addis Ababa and the Kenyan border. Early this month, Ethiopian state media announced that Addis Ababa will be taking an unspecified stake in the Port of Djibouti. Djibouti has been in talks with potential investors for its Doraleh container terminal since it terminated DP World’s concession at the port in February. The new agreement comes with the opportunity for Djibouti to invest in Ethiopian state-owned firms, including Ethiopian Electric Power and Ethio Telecom. “A joint committee of ministers would meet to thrash out details,” reported Ethiopian News Agency. The size of the Ethiopian share in the port was not released. Last month, Ethiopia also agreed to take a 19 percent stake in the Port of Berbera, Somaliland, alongside DP World’s 51 percent controlling stake. The breakaway government of Somaliland retains the remaining 30 percent share. DP World is preparing to invest $440 million in developing the port, and Ethiopia plans to build a road connection from its territory to Berbera. The newly-enhanced terminal would be 580 road miles from Addis Ababa, about 100 miles further away than the Port of Djibouti.